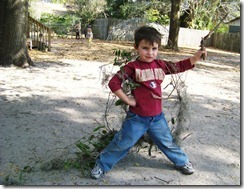 Preschool children possess a remarkable ability to absorb the world that surrounds them. 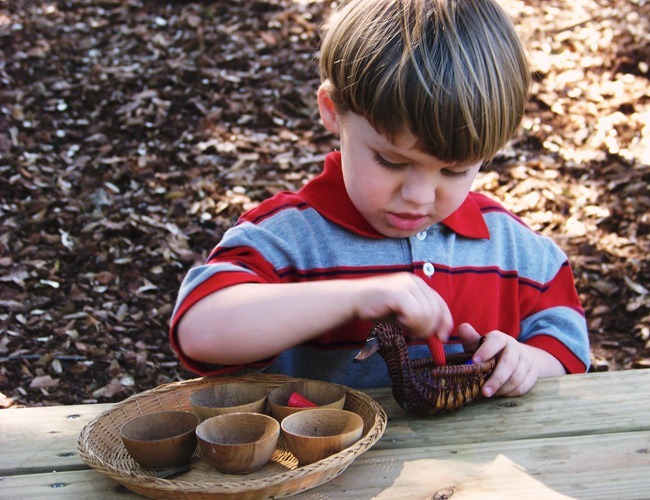 Maria Montessori believed that the years from three to six are the MOST critical period for nurturing a child’s natural curiosity and for laying the foundation for all future development. 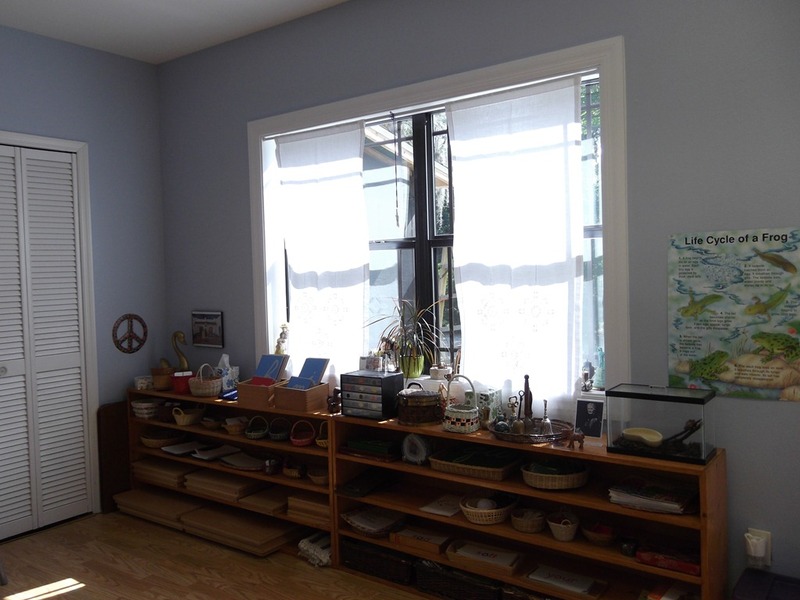 The goals of South Lake Montessori (SLMS) are to foster independence and to support children in moving toward a master of self and the environment. Each classroom is a thoughtfully prepared and internationally recognized environment designed to encourage children in their self-directed discovery of the world. 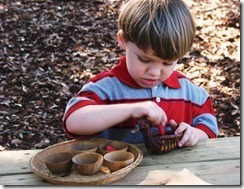 Interest-based activities encourage children to develop a love of learning and trust in their own ability to learn. 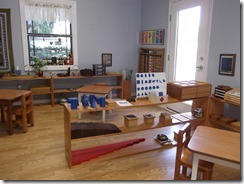 Fundamental to Montessori theory is the multi-age classroom. Each SLMS classroom include children ages three to six, and children may work either individual or in small groups, learn from and sharing with one another. 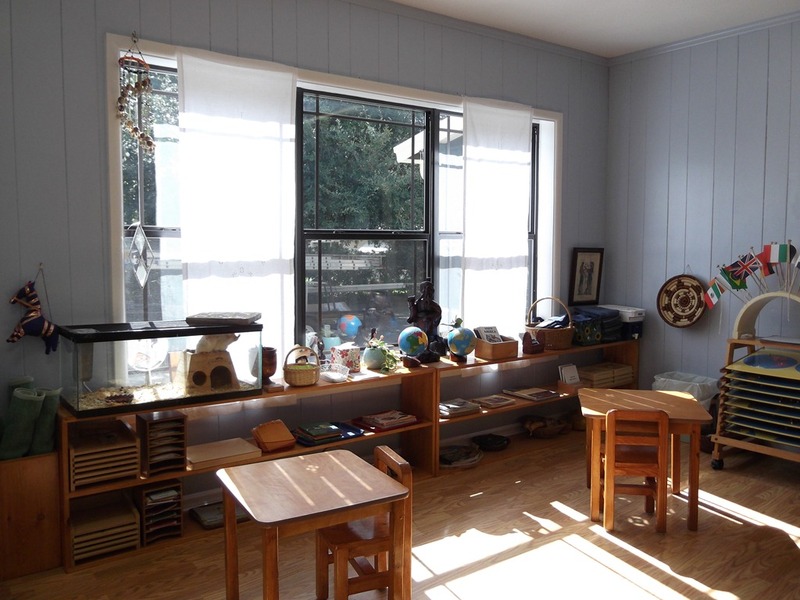 SLMS is held in brightly lit classrooms filled with art and remodeled in a safe and environmentally conscious re-purposed Clermont vintage house. The class has approximately 25 children with Directress and one full-time Assistant who also shares his knowledge of the French language with the children. Children ages three and four attend the Half-Day program, from 8:30am-11: 30am. This program include practical life, sensorial lessons, cultural, math and language activities. Depending on maturity, four year olds through six year olds may elect to participate in the Full Day program which includes a home packed lunch, outside play and more challenging work related to sensorial, practical life, cultural, math and language activities. Practical Life. Through practical life activities, children acquire many daily living skills: preparing food, fastening clothes and caring for their environment. These activities also help children extend their powers of concentration and develop coordinated movement. Sensorial Activities: Through interaction with sensorial materials, which isolate one quality _ such as color or shape – children experience the world through their sense, in a way that establishes the physical and mental foundation for further learning. Language Activities. 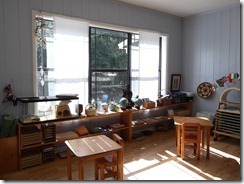 The classroom is a language-rich environment. Through a variety of language activities and materials, children become familiar with sounds and symbols and begin the process of writing which natural leads to reading. The Class Assistant introduces the French language to children at the time when they are physically, emotionally and cognitively most receptive to learn another language. Mathematics. In the SLMS program children begin to explore mathematical relationships by manipulation concrete materials – such as number rods – that are designed to isolate a concept and prepare the for abstract reasoning. The goals of the program are for each child to develop a love of numbers, problem solving strategies, computational skills and confidence in using numbers in everyday life. Cultural Awareness. Art, music, science and geography are integrated into the whole language experience. Each day during circle time, the Directress sings and/or plays a guitar encouraging the children to learn and sing along. Objects d’art and posters depicting fine art are placed throughout the environment to ensure an enriching and immersing artistic classroom. Living plants, animals and hands-on materials are a part of the classroom, inside the facility and outside in the play areas, allowing children to develop skills scientific observation and comparison. Social Activities. 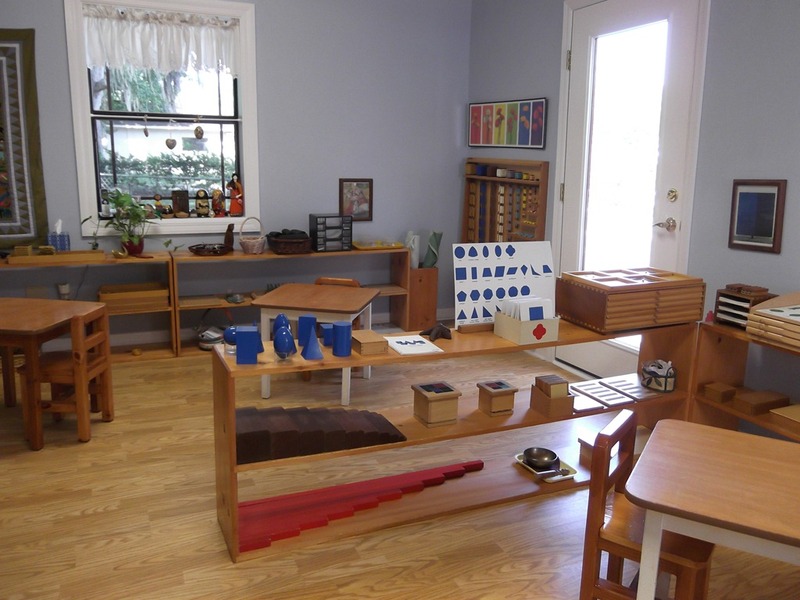 In a Montessori classroom, children experience the balance between the freedom of the individual and the concern of the group. Other social behaviors that flourish are responsibility for one’s own behavior, respect for others, and care of the environment. SLMS prides itself on providing the foundation for good citizenship within the child. Physical Education. SLMS is different from a traditional group-oriented preschool in that children are free to choose activates and move about the room. 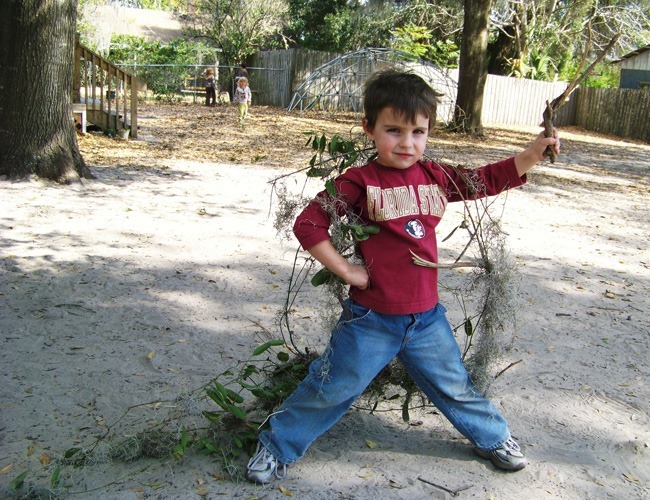 Through natural physical activity, children expend energy and develop large and small muscle coordination. After lunch, the Full-Day children have a play period outside, except in inclement weather. Celebrations and traditions. SLMS celebrations develop a sense of community. At Thanksgiving, children share a potluck feast with the Elementary children. The mid-winter holiday explore the tradition of the winter season through the world. A Spring Carnival encourages children to share in the fun day which the elementary children spend thoughtful time creating. Finally, throughout the year the children participate in Historical Figure Day and World History Day. Food. Carrying their own lunch is an opportunity for children to bring part of home to school each day. Healthy snacks and drinks are also provided in the morning. Conferences and Open House. Conferences to discuss each child’s development are twice a year following an Open House afternoon when children bring in their parents to share with them the child’s environment and work. The Directress communicates frequently with parents through email, notes and phone calls. Calendar. SLMS follows the Lake County Public School System as closely as possible each year. Also, SLMS follows the Lake County Public School System in case of inclement weather and school closures.